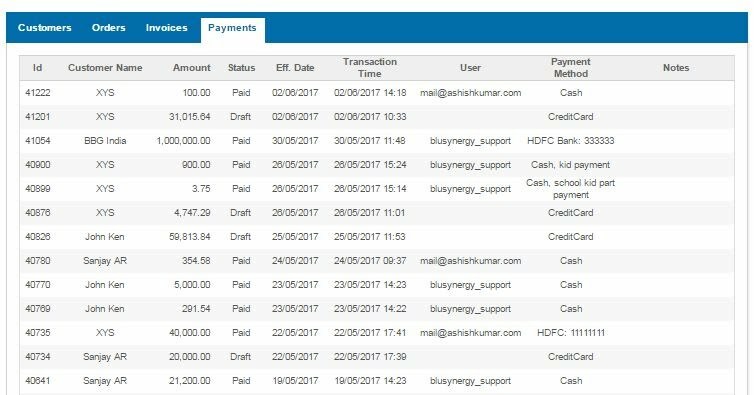 The payment history for a customer can be viewed from the Customer Details page. Using the options available you can view payments. Click on "Customers" in the main menu and then select "Customer Home" from the sub-menu that appears. Go to the Orders, Invoices, Payments, Credits and Refunds table at the bottom of the screen and select the "Payments" tab. A list of all payments by customer till date will be displayed.